The second reason why Dietrich Bonhoeffer can impact twenty-first preaching is the importance he placed on Christian fellowship. Bonhoeffer was convinced that it was impossible to be a follower of Jesus Christ apart from life in the fellowship of local believers: “Christianity means community through Jesus Christ and in Jesus Christ.” This was more than mere theory for Bonhoeffer because he had the opportunity to develop a community of believers while he was the director of the Preachers’ Seminary. The Seminary was located at Zingsthof by the Baltic Sea when it opened on April 26, 1935. It relocated in Finkenwalde, near Stettin in Pomerania on June 24 of the same year. The Gestapo eventually closed the Seminary in September of 1937. During the period of its existence, Bonhoeffer desired a “genuine experiment in communal living.” It was Bonhoeffer’s desire that the experiment in the Seminary would provide a foundation for the German church after the war. Bonhoeffer realized that biblical community would provide the fresh life the church would need. This realization led to a burning desire to put the findings of this “experiment” into writing. This led to his classic book, Life Together, which was written a year after the Seminary was shut down. Bonheoffer wrote the book in only four weeks, while he stayed in the home of his twin sister, Sabine in Gottingen. The book was first published in 1939. In Life Together, Bonhoeffer appealed to a variety of Biblical references that point to the fact that community with fellow followers of Jesus is a crucial element of Christianity. For example, chapter one begins with Psalm 133:1: “Behold, how good and pleasant it is when brothers dwell in unity.” Psalm 133 is a song of ascents. That is, it spoke of pilgrims coming to Jerusalem to worship together. It is significant that both genders were represented here because the cultural barrier between male and female was abolished through mutual participation in the church. Verse 15 indicates that the total number of disciples was around one hundred and twenty. Thus, within weeks of the resurrection of Jesus, his people, made up of varied backgrounds, gathered waiting for the power of the Holy Spirit. Then on the day of Pentecost, the brothers and sisters “were all together in one place” (Acts 2:1). The Holy Spirit came upon them with power. Peter, empowered with the Holy Spirit, stood before thousands and proclaimed the Good News about Jesus. The result was that about three thousand people turned to Jesus for salvation (Acts 2.41). Among the foundational disciplines of the early church was a devotion to the “fellowship” (Acts 2.42). The Greek word for “fellowship” is “koinonia”. It means “fellowship”, “communion”, “participation”, “sharing in” and “close relationship”. This “communion” is possible only because believers are united through their salvation in Jesus. …without Christ we would not know other Christians around us; not could we approach them. The way to them is blocked by our own ‘I’. Christ opened up the way to God and to one another. Now Christians can live with each other in peace; they can love and serve one another; they can become one. Verse 3 is the punch line in this statement. Paul equated walking worthy of the calling we have received with making every effort to keep the unity of the Spirit through the bond of peace. To Bonhoeffer, fellowship with our brothers and sisters within the church was a way for Jesus to minister to his people. Fellowship with God’s people provides opportunities to bless and serve and love others. The pastor and preacher in the twenty-first century must not only preach on the necessity of Christian fellowship, but he also must be personally devoted to the fellowship throughout the week. A preacher who avoids people or is superficial in his relationships with church members will most likely earn the reputation of one does not really care about his people. This can eventually have an adverse affect on his preaching because the people in the pews may read into each message a lack of genuineness. Bonhoeffer was an example. While the students at the Preachers’ Seminary were not always thrilled about Bonhoeffer’s insistence that they spend time daily in scripture meditation, it was indisputable that he genuinely loved and cared for them. Francis A. Schaeffer describes this characteristic of loving one another as the “mark” of Christians “at all times and all places until Jesus returns.” The pastor and preacher must set the example for the church to follow. Dietrich Bonhoeffer, Life Together (San Francisco: HarperSanFrancisco, 1954), 21. Kelly and Nelson, Dietrich Bonhoeffer: A Testament to Freedom, 27. Derek Kinder, Tyndale Old Testament Commentaries: Psalms 73-150 (Downers Grove: Inter-Varsity Press, 1975), 452. Dietrich Bonhoeffer, Life Together, 18. William J. Larkin Jr., IVP New Testament Commentary Series: Acts (Downers Grove: Inter-Varsity Press, 1995), 44. Walter Bauer, A Greek-English Lexicon of the New Testament and Other Early Christian Literature (Chicago: The University of Chicago Press, 1979), 438-439. 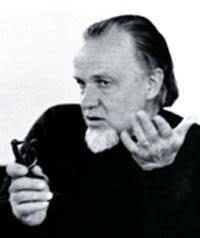 Francis A. Schaeffer, The Mark of the Christian (Downers Grove: Inter-Varsity Press, 1976), 8. Do you have any insight to why the gestapo shut the community down? Did the nazi party feel threatened by them? In reading the new Bonhoeffer biography by Metaxas it appears that the “Confessing Church” as it was called was pretty verbal about its condemnation of the Nazi Party’s movement within the church and the need for real Christians to stand against them. The leader of this church wrote the “Barmen Declaration” which called for Christians to resist Hitler and the Nazi attempt to impose their evil theology on the German Churches. The above quote was taken from a summation by Robert Brown of the Barmen Declaration.